Red-hot Mohamed Salah has reacted to Liverpool's qualification for this season's Champions League final after he helped his team to beat AS Roma 7-6 on aggregate in the semifinal. 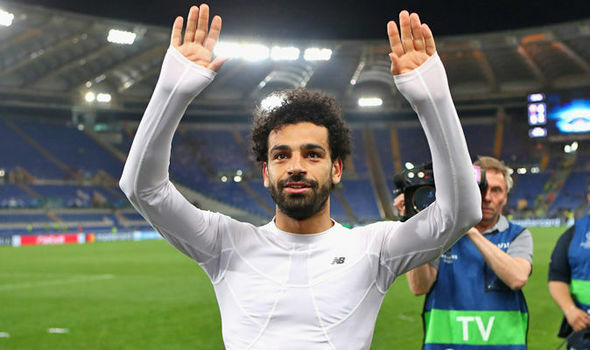 While speaking immediately after Liverpool’s Champions League semi-final win against AS Roma on Wednesday night, Mohammed Salah, who had a relatively quiet evening by his standards, opened up on how the Reds reached their first Champions League final since 2007. The 4-2 defeat in Rome was enough for Liverpool to sneak through 7-6 on aggregate, with Salah having scored twice in the first leg at Anfield. While he was celebrating in front of the Liverpool fans, a journalist from Norwegian TV managed to grab a few words from the superstar. Salah said; “We are in the final now. We have one game to win the Champions League! “I said at the beginning we will try our best to win the Champions League. But yeah… now we are in the final!,” he added. Salah has already won the PFA Player of the Year award after a stellar season with Liverpool. But his campaign could get even better if Jurgen Klopp’s men overturn Real Madrid in the final on May 26. James Miner also spoke after the game and said: "Nobody said getting to the Champions League final is easy and we've beaten some great teams on the way. "It was about getting the job done and now we're through to the final. We have to enjoy this but not for too long as we have another important game this weekend."